Radon mitigation in Eau Claire is on the rise due to high radon levels being found in the area. Radon itself has always been present in the Eau Claire area, but due to technological advances we are now able to test for it and determine whether mitigation is necessary to ensure the safety of the home owners. Our company specializes in radon testing and radon mitigation in Eau Claire and have been in business for over 20 years. In fact, our radon technicians have over three decades of combined radon mitigation experience and are all certified in radon testing as well as radon mitigation. Every single one of our systems is custom built for your home and maintain all of the EPA and municipal standards. If you are interested in getting a free estimate for a radon mitigation system or would simply like a radon test for your home in Eau Claire, give us a call or click the link below and we would be more than happy to help! Short Term Monitor Radon Test: This style of radon testing in Eau Claire is our most commonly used testing method because of how quickly it is able to produce accurate results. If you are in the midst of a real estate transaction and need results quickly and accurately, this is the test we would strongly suggest that you use. Long Term Radon Test: This style of radon test offers a much longer period of testing (at least 91-days) so that homeowners can track their radon levels accurately for as long as to 1-year. This is beneficial for people who want to see how their radon levels fluctuate and can more accurately determine what kind of mitigation may be needed for the home. We do not recommend this kind of radon test for people in the middle of a real estate transaction (because of the time frame associated) but rather for planted homeowners concerned about their health and indoor air quality. Charcoal Radon Test: This radon testing option is our most cost effective choice. It is a "do-it-yourself" test kit that can be set up at any time and sent out to the lab after 3-7 days of radon testing. The kit includes the test itself, shipping to the lab, and the analyzed test results from the lab that we send over to you. We do not recommend this test for real estate transactions because of the shipping and lab analysis time, but it definitely is a great option for new homeowners or homeowners who have never had a test before and would like to know if their home is safe. 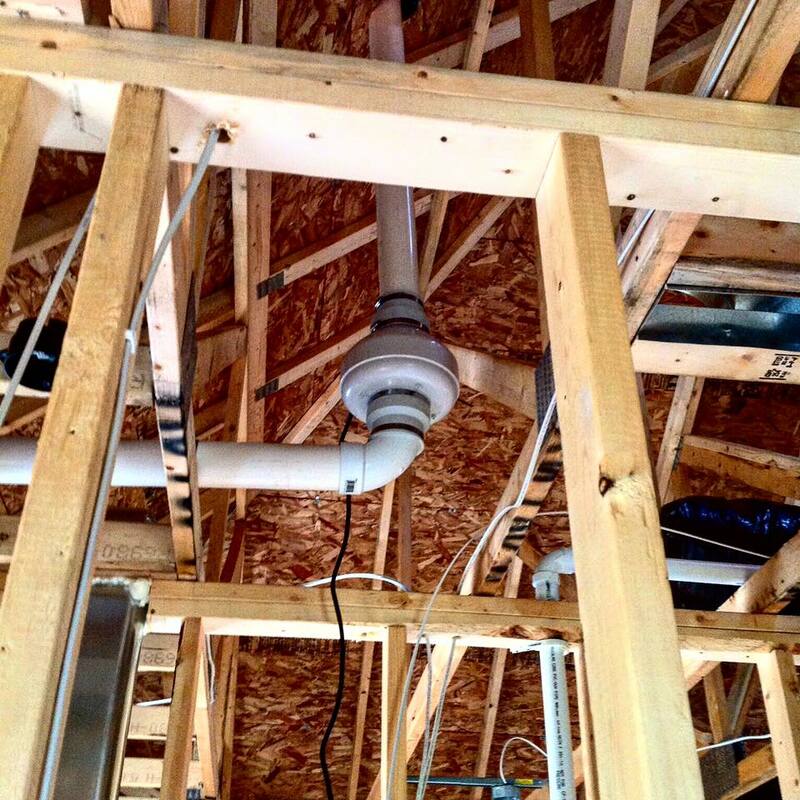 Why is Radon Mitigation important in Eau Claire? 1. Is the house for sale? - This helps us determine if you are working with a closing date so we can pick the right radon test option when we do the retest. 2 What was your initial test result for radon? Most customers who call us for radon mitigation have already had their home tested whether they did it themselves or got a home inspector to do it. By providing us with that number we can determine how much radon gas we need to mitigate from the home. 3. What year was the home built? We ask this, because we can get a pretty good if the home has a drain tile system if the home is build after a certain year. This isn’t perfect because some homes have it installed later on, but it gives us a good idea of how the home is built and what codes it adheres to. 4. Are there any gravel or dirt crawl spaces in the basement? If the homeowner answers yes to this question, we usually like to send someone out there to look at it, because those usually need to be sealed and we like to give our customers a good idea of what their options are and what they may have to pay for that. 5. Is the basement finished, unfinished, or a little bit of both? 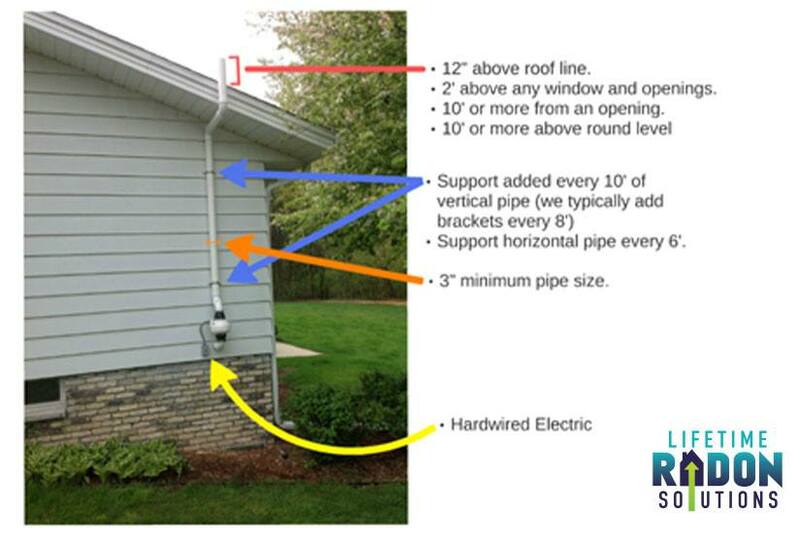 We like to start our systems in an unfinished part of the basement, so we ask this to get a better picture of how your home is laid out, and what style of radon mitigation system is right for you. 7. Is there any in floor heating in the basement? We need to ask this because we have to drill into the floor and do not want to risk drilling into one of those water pipes that heat the floor. If you do have in floor heating, our skilled radon technicians can use an infrared scanner to find and avoid those pipes. 8. Do you have a sump pump, and if so, is it a pedestal or submersible style pump? The reason we ask about your sump pump is, we need to seal that sump croc and the only style pump that that’s possible with is a submersible style sump pump. There are three main reasons we need to seal that sump croc and require a submersible sump pump. 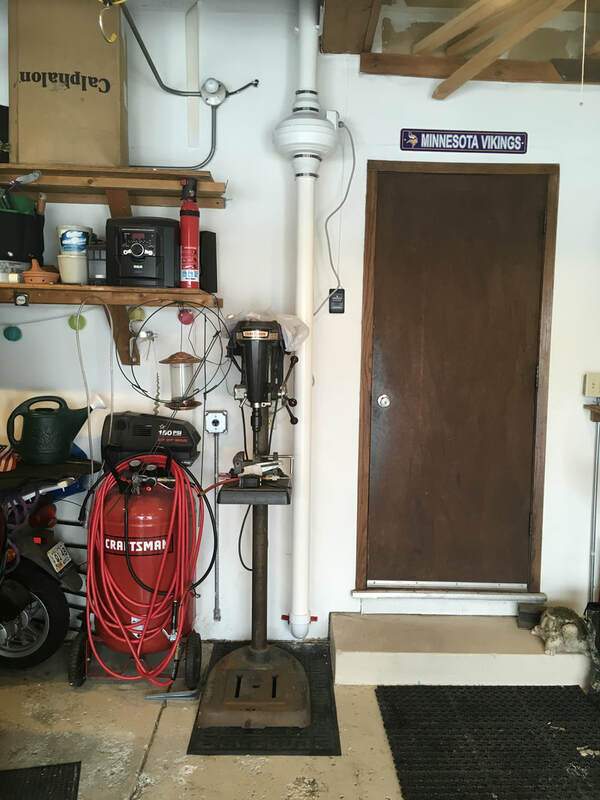 If we don't seal the crock or try to seal it around a pedestal style pump, it leaves the homeowner vulnerable to carbon monoxide backdrafting back into the living space. If you have a pedestal style sump pump and we try to seal around it, there’s a chance the float could snag and cause flooding. If you don’t have a sump pump or have a pedestal style pump, there's no need to worry. We can seal the sump croc without a pump inside, and can replace any pedestal style pump with a submersible style pump for a nominal fee. If you have any questions for us or want to install a radon mitigation system for your home in Eau Claire, give us a call or click the link below and we can provide you with a free quote over the phone!